Description - Shaw's Suite Retreat carpeting showcases a subtle yet eye catching leafy floral pattern that you are sure to love. Each attractive color option features a same color detail for a truly luxurious touch. 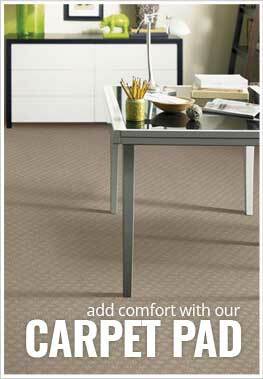 Backed by a 20 year warranty, this rich carpet is comfortable underfoot and suitable for virtually anywhere. Recommended Uses - Suite Retreat carpet is recommended for use throughout the home and commercial spaces. Great for use in basements, bedrooms, foyers, dining rooms, hallways, restaurants, country clubs, and more. Subtle colors yet eye catching pattern.